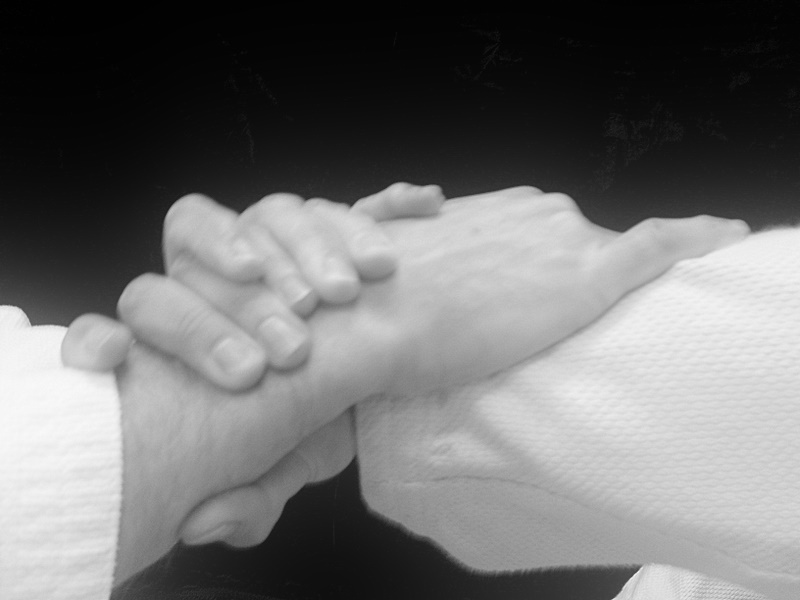 On Saturday as Sensei and I worked on Shomen Uchi Nikajo Osae Ni, I found myself moving to the side when he attacked. I tensed up expecting having to put up a fight. After a year and a half of Aikido training, my body still reacted in an aggressive way. I wanted to distract him and take him off balance as soon as we made contact. I did not wish to face the expected confrontation. I wanted to move on and ignore the strike. Yes, I often avoided confrontations. As I spoke my concern to Sensei, he suggested that whenever a strike comes my way, I speak the words “thank you” to uke and allow the true gratitude to sink into my body. I tired. The words were forced and felt inauthentic. “Why should I thank someone who is about to attack me?” I asked myself. Logically I knew I am truly thankful for life’s little needle pricks that often ended up healing me in someway yet instinctually I cannot instantaneously be thankful for the expected attack. Instinctually I wanted to put up a fight or run away. Instinctually I cannot embrace the strike aimed to harm me. And instinctually I reacted instead of asking my body to act with clear choice based on connection toward a peaceful resolution. I found more hidden aggression and manipulation within my body as the weekend progressed. I started to recognize how often I avoided confrontation in order to remain in the illusion of safety. I noticed most of times I distracted an expected attack hoping to avoid confrontation instead of courageously heading into a peaceful resolution. I realized I’ve always manipulated the situation so I can remain nice and agreeable instead of dealing with the facts. As my tears started to dribble down my cheeks, I felt the impact of avoidance – with so much wasted drama and energy. Sometimes I have hidden from facing confrontation by running away from opportunities. Other times I avoided confrontation by half heartedly agreeing with untruth while manipulating it to conform instead of sinking deeper into my core truth. Recently, as my mother disagreed with my choices and started to create emotional drama to guilt trip me into submission, I did not remain strong in my core. Instead of saying no to her unconscious manipulation, I acted out what she wanted in order to make her happy – I avoided speaking my truth. In the end, so much of my energy was channeled into counter manipulations and I felt exhausted in the process while losing my own integrity. I couldn’t help but think can saying “thank you” to an expected attack really help me in life. Can a peaceful resolution really result from the willingness and gratitude to connect to an attacker? In my gut I know the answer is yes as I have seen it over and over again – yet I still question if this concept is as reliable as gravity itself. Can Aikido truly be the tool that could transform the aggressive consciousness of our instinctual nature and bring us into harmony?